The Gulf Coast Florida region of Marco Island is one of the most photographed and filmed in the nation, and its easy to see why. With stunning wildlife, pristine beaches and breathtaking views, Marco Island is a little chunk of paradise, chock full of photographic opportunities. Marco Island Living.com invites you to view and contribute to our new Photo Section. Join our email list to upload and share your fabulous photographs for free. Not only can you upload your own favorite photos, you can also rate your favorites and enter ongoing photography contests. 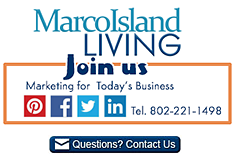 Feature your Marco Island business online in Marco Island Living. Contact usfor more information. Thank you for visiting Marco Island Living – Marco Island’s Internet Magazine.